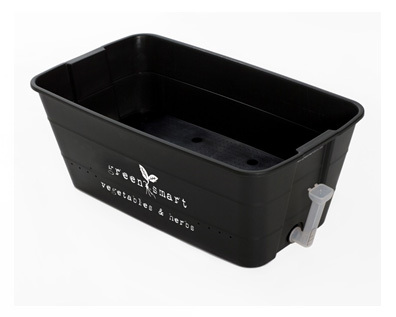 GreenSmart®, developed in Australia, is a self-watering pot, manufactured in food grade plastics providing a hassle free growing system. - The water level indicator eliminates the dilemma of guess work of over watering or under watering. 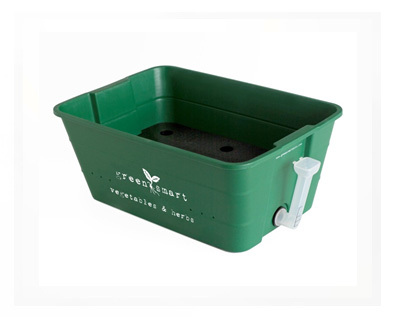 - The built-in tank ensures frequent watering is not required, thereby making it possible to leave the plants unattended for extended periods of time. - Requires less effort and less time. - With nutrients not being washed away or absorbed into the ground it means, with plants only taking what they require, the potting mix can be reused. 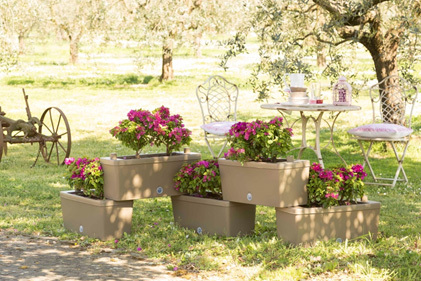 Plants grown in GreenSmart® self-watering pots out-perform and out-yield those grown in traditional beds. 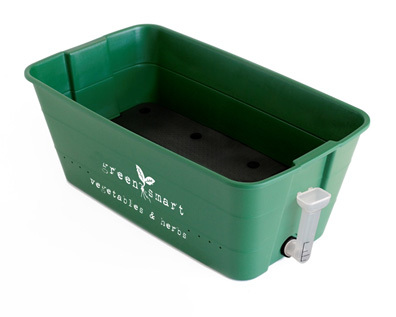 GreenSmart® utilises a unique self-watering systems that uses less water than in-ground cultivation. 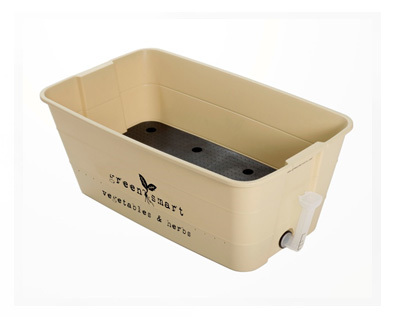 The plastic cover reduces the evaporation rate and returns the condensed water vapour back to the reservoir. The fully contained system can be placed anywhere with minimal fuss or mess. The result allows the plants to receive all nutrients as and when they need. Another benefit of the self-watering pot is the ability to add fertiliser to the water itself. You can use a dilute solution added to the water, and the plant receives a tiny amount throughout the growing season.